The family of Abbey Conner, a Wisconsin woman who died after an incident at an Iberostar resort in Mexico filed a lawsuit claiming that her death was a result of tainted alcohol served at the resort, The New York Post reported Saturday. 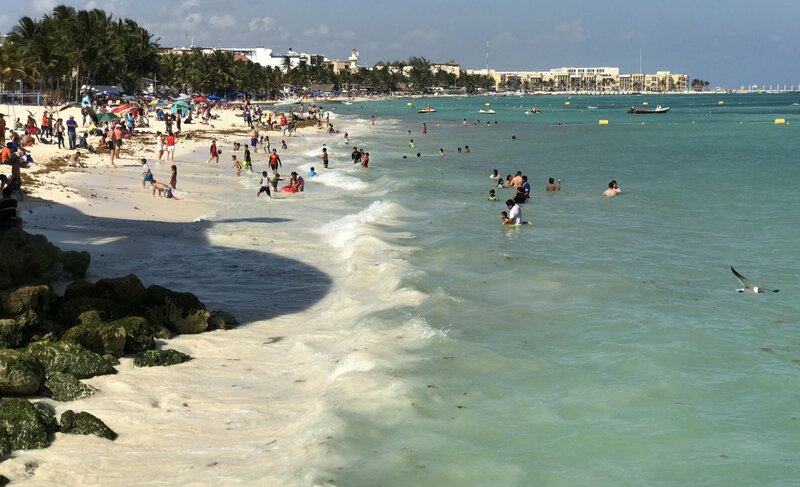 Conner died in January of 2017 after she was found face down in the pool at the Iberostar Paraíso Del Mar at Playa del Carmen near Cancun, Mexico. Conner, 20, was at the five-star resort with her brother Austin, 22, and their parents for a family vacation. On the day they arrived at the resort Abbey and Austin reportedly went to the pool and then to the swim-up bar where they had shots of alcohol, the Milwaukee Journal Sentinel reported. The two were found face-down in the hotel’s pool a short time later and were transported to a local hospital for treatment. Austin had suffered a concussion and was sedated at the hospital but his sister was unresponsive. She was brain-dead and her family withdrew life support on January 12, 2017, after transporting her to a hospital in Florida. While the two had been drinking, her brother maintained that they didn’t have enough to drink to fall unconscious face down in the pool. In August of 2017, there were 75 gallons of alcohol that violated safety health and safety regulations seized from resorts, clubs and restaurants. Authorities were then able to determine where the alcohol came from and seized 10,000 gallons of alcohol from the supplier. Now the family has filed a wrongful death lawsuit over Abbey’s death and following the investigation into the alcohol provider. They’re claiming that the resort didn’t do its diligence and failed to protect Abbey in purchasing and providing unsafe alcohol to her and other guests at the resort. The suit also mentions that guests weren’t properly protected at the pool either, the Post reported. The suit is also against the booking website the family used to book their trip. The suit claims both the resort and the site were aware that the alcohol was “unfit for human consumption” and served it to guests anyway, the Milwaukee Journal Sentinel reported.